[Jesus said,] "Dear children, I will be with you only a little longer. And as I told the Jewish leaders, you will search for me, but you can't come where I am going. So now I am giving you a new commandment: Love each other. Just as I have loved you, you should love each other." The standard of love has been set for us. We are to love each other as Jesus has loved us — he served us, and he sacrificed for us. Jesus shows us that love is both extravagant and practical. He now wants us to demonstrate these qualities with our love! Father, I confess that my love is often shallow and selfish. I know that your Spirit has worked on me to help broaden and deepen my understanding of true love. 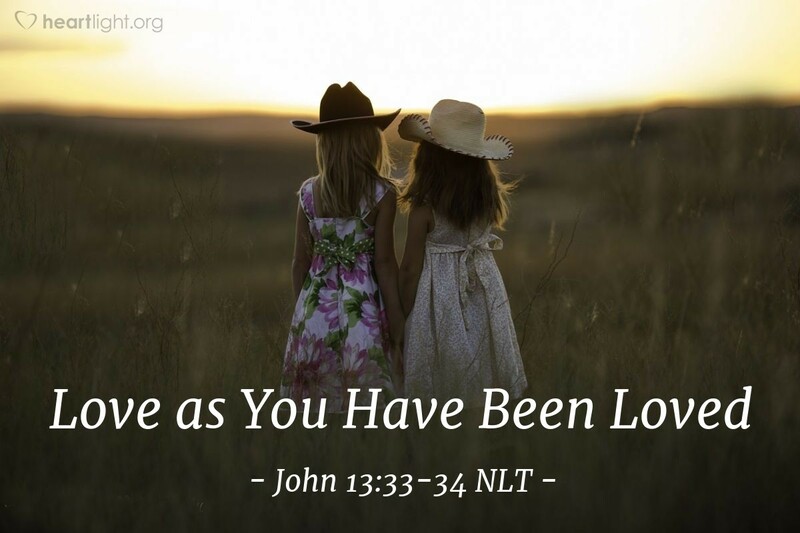 Now bless me as I seek to live with Jesus' love toward my family, my friends, and my co-workers. In Jesus' name, I pray. Amen.